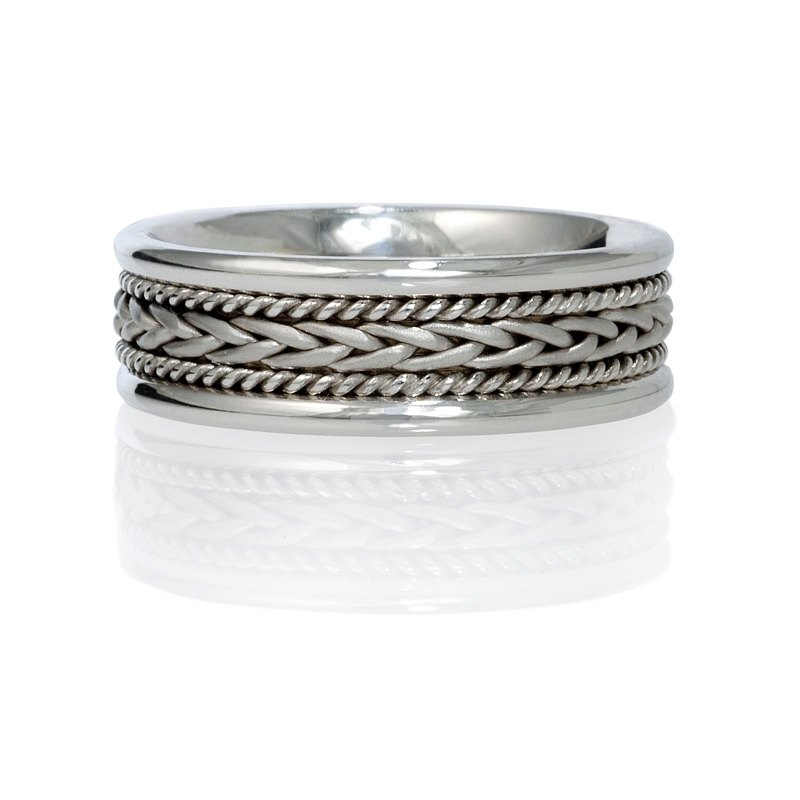 Ring Design: 14k white gold design with twisted rope grooves. Measurements: Rings may be ordered to any finger size. 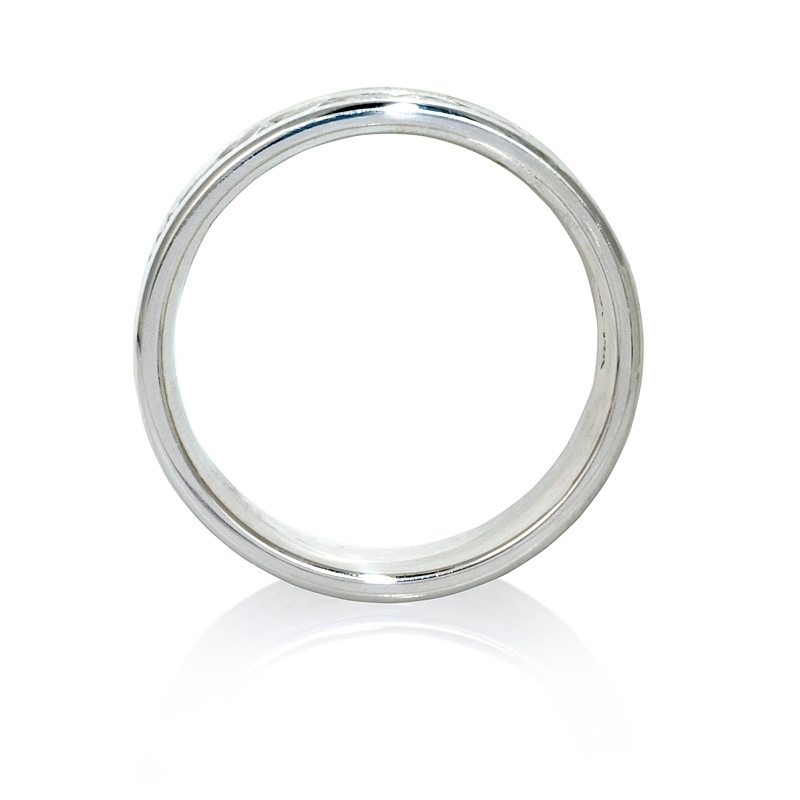 A 10% surcharge applies to ring sizes 8 and over. Simply allow 4-6 weeks for delivery. 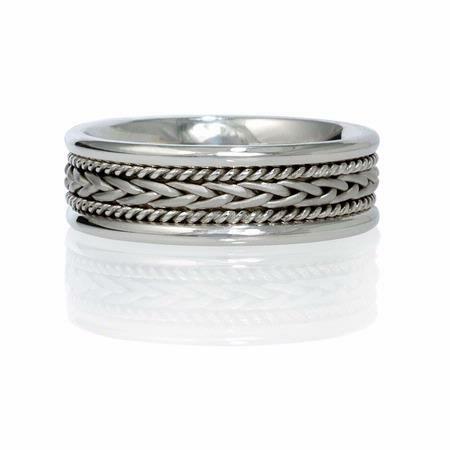 This handcrafted men's 14k white gold wedding band ring, features with twisted rope grooves. Rings may be ordered to any finger size. A 10% surcharge applies to ring sizes 8 and over. Simply allow 4-6 weeks for delivery.